OK, I’ve gotten a bit behind posting my latest projects, so I am trying to catch up… ;-) I finished this mid-June and it is already late September… I found this in one of my “gifted-to-me” WW books, and at this time I have misplaced which book it was but it is a fairly common and widely used design for more current reproductions. When I first saw the article/plans, I knew I wanted to build this. 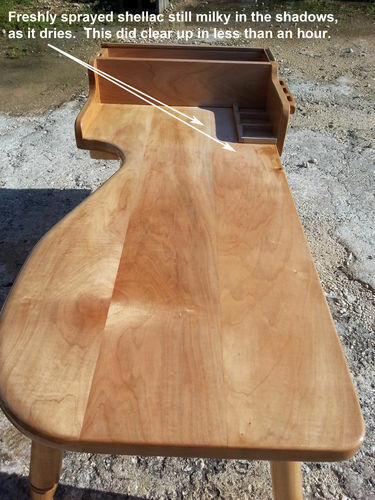 When researching a bit more I started to get second thoughts, remembering all of the 1960s “Colonial Maple” knock-offs of the cobbler’s bench design. I almost nixed this project because I didn’t want one of those clunky designs in my house. This brought me a lot of grief thinking about this, though I finally decided to move forward building this thing. I just wanted it to be “different” than my memories of the 1960s examples. 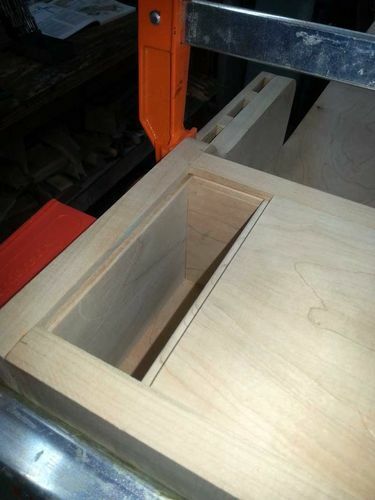 The original plans called for tapered rough handcut legs. Since I had just purchased a lathe 6-months earlier, I nixed that feature and decided to make these legs my “first” longer leg turnings (I had made several 3in knob legs but nothing longer). That part ended up much easier than I had anticipated. 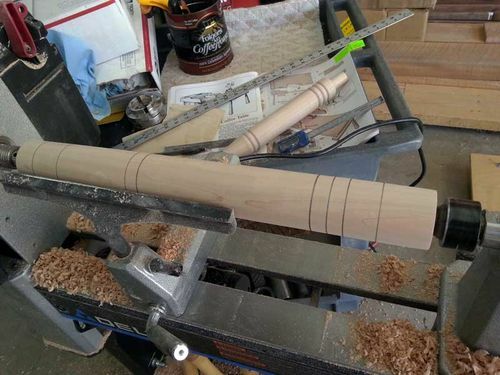 I was worried that I would not be able to match all 4-legs with my novice lathe skills. While not identical, I came closer than I thought I could, and from a distance the differences are not noticeable, IMO. BEFORE – I pencil marked where I wanted my beads and balls and basically winged the first one. AFTER – After the first I refined where the pencil lines were and repeated the process. Some beads were better than others. I also made the dowel ends a beefier full 1in instead of 3/4in. Other changes I made included making the top lamination 1 1/4in thick instead of 1in and did the same for the leg spanners. 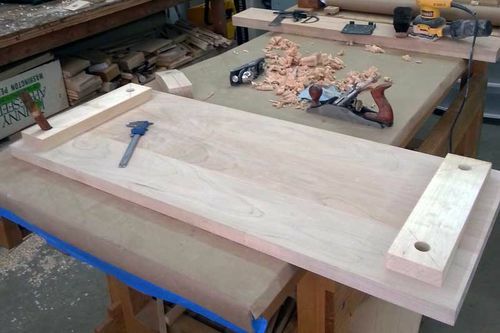 The plans called for the legs to be angled out in two directions and instructed me how to make a hardwood template to accomplish this task. You first drill a pilot hole on your DP in one simple angle. If I remember correctly it was something like 12-13 degrees. 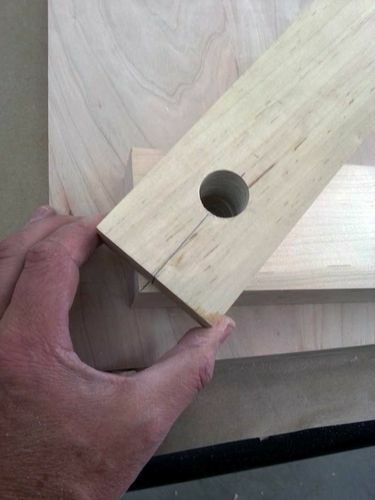 Then you align the template over your leg spanner at a rotated 45-degrees to drill your leg dowel holes. This gives you the splayed legs in both directions. 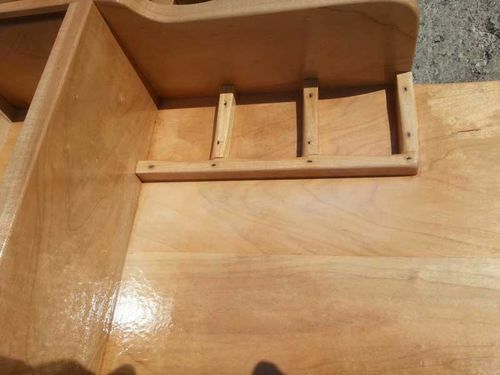 I had been experimenting with antiquing and wanted to show some wear on this bench as well, so I used square cut nails in building the toolbox/nail-cubby area of the bench. Where the grain aligned I also glue-joined the sides. Notice that I was being closely supervised (below). 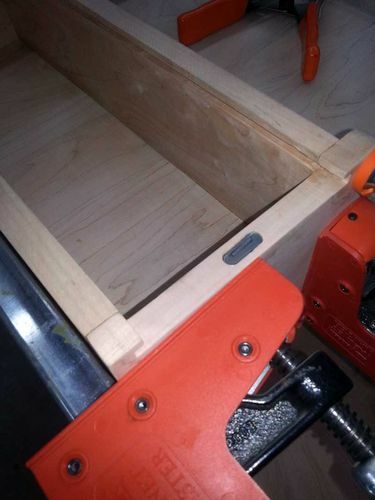 I modified the sliding lid of the toolbox to be flush instead of recessed and I feel that came out well. I also added full mortise locks to this and the drawer area under the top. When it came to finishing, I chose to spray Zinnser Clear Shellac over the entire thing and I think that I did a bang-up job on it. THEN, when I went back to the shop to clean my sprayer, my Gray cat decided to jump up on top of the freshly sprayed shellac and leave dirty sandy paw prints all over the top. You can read more about this fiasco HERE. I swear THIS WAS NOT easy to accomplish, even WITH the supervision! Also note that I antiqued the nail heads so that they would stain the surrounding area, for an older look. *ALL I KNOW IS THAT NO HUMAN OWNS THIS COBBLER’S BENCH ! And watch out for those green laser eyes! Cats are smart and have a good appreciation for fine woodwork. 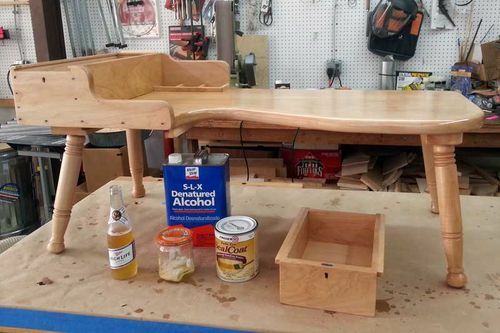 Nice table Mike. excellent work Mike. 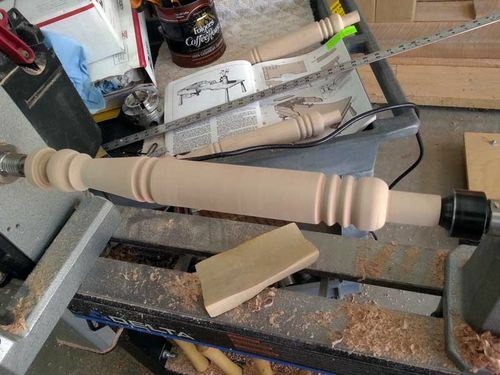 I’m glad to see that lathe getting its use. I really like this FlatMi . . . I mean HorizontalMike. 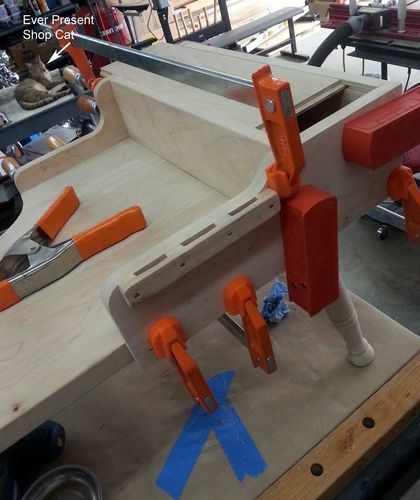 I love projects that use allot of tools in the shop. My wood-creating (I prefer this term better then woodworking because after all . . . if it becomes work . . . who wants to do it?) schedule has just received an intermission . . . you wouldn’t mind if I took a few notes, wood you? Nice table. I agree with Greg. Cats have good taste. Neat. 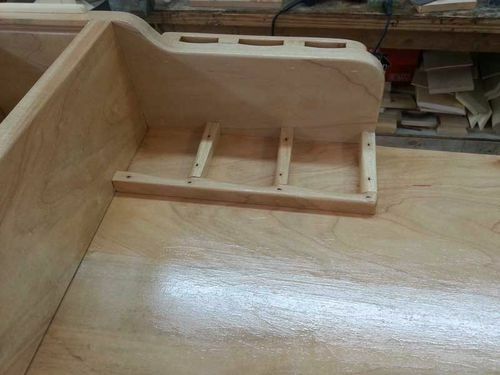 What is a cobbler´s bench used for? Great work Mr. Mike. This looks like a very cool project with a lot of different steps. I like how you showed all of the elements of the process. This is way too cool. Great idea and construction. As usual. Nice work and nice documentation of the project. 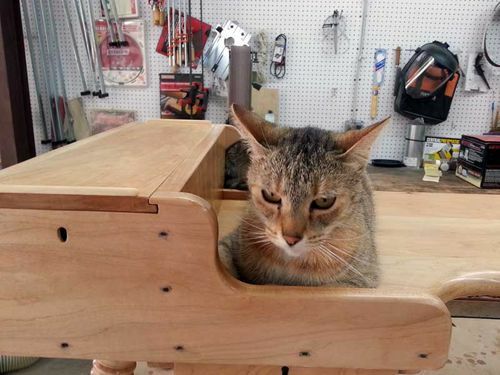 It looks like you were well supervised during the shop glue-up part of the project. I see some nice figure in that maple. Thanks guys, and over all this was a fun project even with the cat’s help. BTW, a “Cobbler’s Bench” is a workbench for the old town’s cobbler, or shoemaker and/or shoe repairer. If you needed something related to your shoes/boots you went to him. Here is another image that shows the figure. I took this just after finishing the first series of coats. Some of the shellac is still milky. It was a warm humid morning and I used Isopropyl alcohol instead of DNA, so that I would have a bit longer working time before the shellac set up. The two boards on the lower left formed a design like a compass, that would change as you walked around it. Elsewhere there is a bit of curly maple going on in spots. Mike, that bench is the cat’s meow! 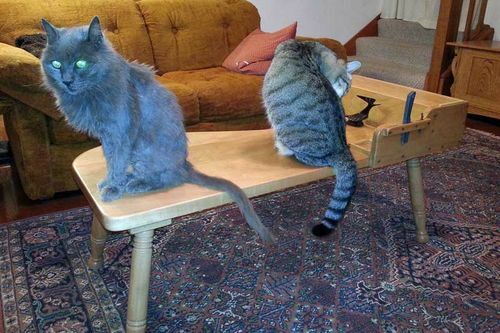 A very nice bench Mike and it looks like the cats agree too…great job. Yeah Art and Dave. Do notice in the last image of the OP, the cats have their own effigy of a Roadrunner mounted, AND they have stuck their cat “flea comb” in the tool storage area on the side of the Cobbler’s Bench! I even checked the drawer “under” the top, and sure enough, MORE cat brushes! I see a lot of curl in pic #1 inside the compartment. Curly maple is in my top two or three favorites.